RP17443 is rated 5.0 out of 5 by 2. Rated 5 out of 5 by Bill from Very nice, attractive handle Such a huge improvement over the old plastic crystal ball knob we replaced. The only gripe I have is that it didn't come with a little Allen wrench for the set screw. My own Allen wrenches are a set like a Swiss Army knife and it was very difficult to use the folding set in the tight space underneath the handle. But perhaps I'm just spoiled because the last four faucet sets that I bought came with the wrenches. Rated 5 out of 5 by scoperguy from They have it! I looked everywhere locally and couldn't find this handle. Even the largest hardware store in the world didn't have it, but you did! Thanks! This Lever can be use for Model #B112900?? 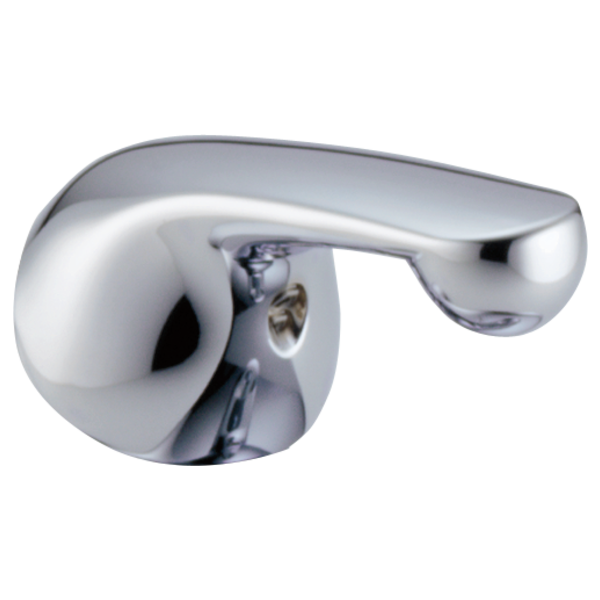 I Lost my Lever Handle of my shower faucet model # B112900, I have been looking everywhere to finally finish my shower. I read that thas part RP74148 is discontinued????? Does the handle kit come with the two trim pieces that covers the valve? What 4&quot; sink faucet is compatible with your RP17443 handle? We have 2 sinks with discontinued faucets (520WFMPU). We are adding another sink and want a faucet as similar as possible. Please suggest a faucet that would be a close match. Also, can we substitute out the handle from the new faucet with RP17443 to make the handle match our other faucet handles? Thank you for your question. Delta Faucet model # RP17443 does use the RP70 ball. I have a RP19804 cartridge. What handle supports this cartridge? What model of faucet does item# RP17443 fit? How is this different than the H79?